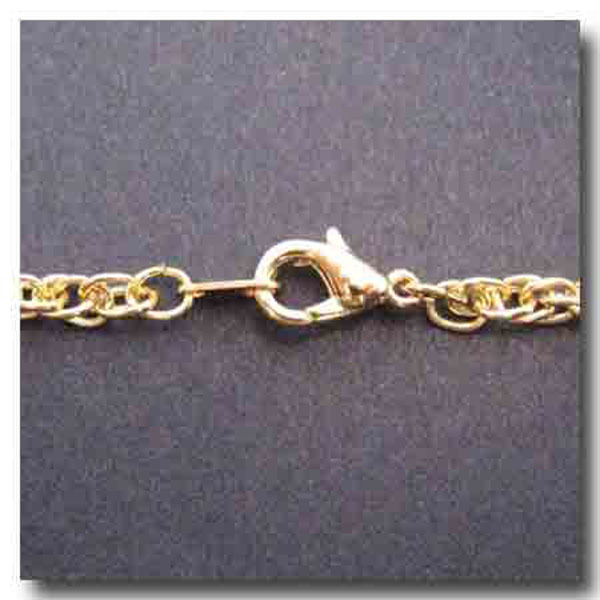 18kt GOLD PLATE TWISTED ROPE CHAIN NECKLACE. Quality: 18kt on Brass. Clasp: Lobster clasp. Length: 24 inches. Style: Rope or twisted chain. Has a spiral appearance (slight Singapore style). Weight: Medium. Width: 3mm.